. . . $500 to each winner. 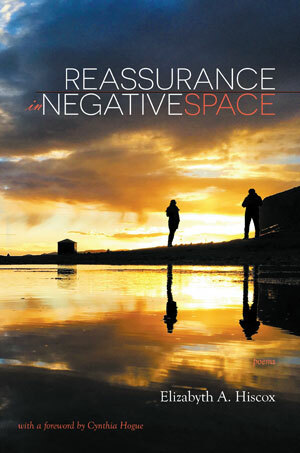 Complete results here.
. . . $1000 to the winner & publication by Able Muse Press. Complete results here. ISBN 978-1-927409-90-9 • October 9, 2017 release • 102 pp. 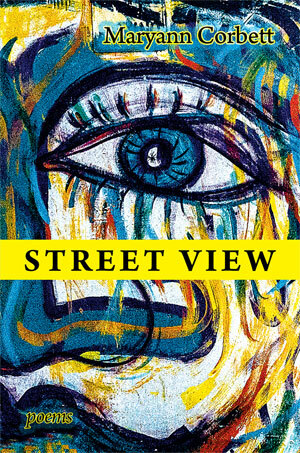 Aaron Poochigian takes on the role of American flâneur for the twenty-first century, drifting through the frenetic metropolis at a dreamer’s planetary pace. Each poem is a tower growing out of our human filth and scraping the sky with sky-lines, and together they build a city of words. Put New York in your pocket. It’s inside this book. 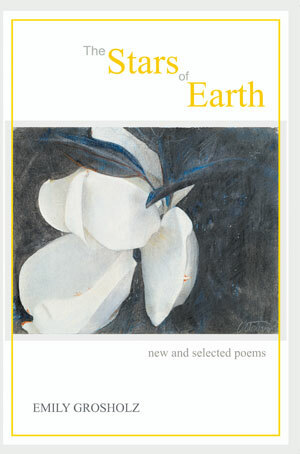 These poems travel at a fast clip, pulling you along through cityscapes, wastelands, and other vistas. Some of the poems tunnel downward, plumbing depths of mood and memory. The concluding lines of “Song: Go and Do It” . . . claim, “I’ll still swear/ we could be happy anywhere.” One sure location of that “anywhere” exists between the covers of Manhattanite. ISBN 978-1-927409-82-4 • February 26, 2018 release • 266 pp. 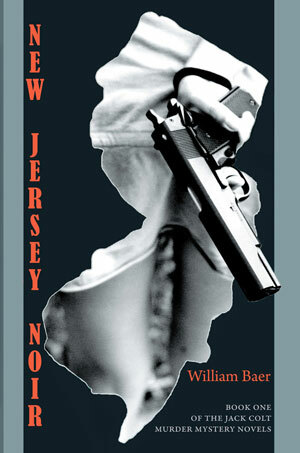 New Jersey Noir is a loving tribute to the Garden State by a writer who appreciates its grime as much as its glory. In prose as fast-moving as a bullet, Baer compels the reader to keep flipping pages more and more rapidly. Baer’s writing is taut and gut-wrenching. New Jersey Noir and Baer’s talent presage a brilliant career for this wonderfully gifted writer. Jack Colt, the private investigator in William Baer’s New Jersey Noir, romances the genre to the suspenseful effect that JJ “Jake” Gittes achieves in Roman Polanski’s acclaimed Chinatown. In place of technicolor LA, however, Baer evokes a cinematic chiaroscuro New Jersey, specifically Paterson, its history and politics limned over a baseline of Springsteen, doo-wop, and Whitney Houston. 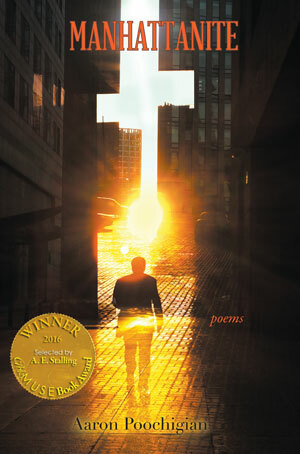 Includes the winning story & poems from contest winners and finalists. 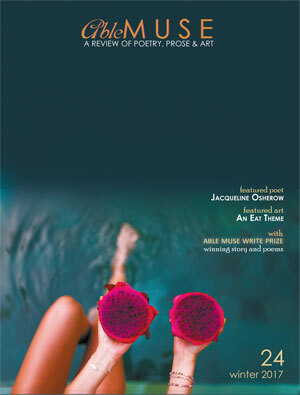 • editorial:Alexander Pepple • featured art: An "Eat" Theme • featured poet: Jacqueline Osherow (interviewed by Malachi Black) • fiction: Tim Frank, Leslie Jill Patterson • essays: Rachel Hadas, Sam Aaron Morgan • book reviews: Brooke Clark • poetry: ailey Leithauser, Gail White, Scott Ruescher, Stephen Kampa, Catherine Chandler, Kathryn Locey, Jean L. Kreiling, Chris Fahrenthold, D. R. Goodman, Alexander Pushkin, Jay Rogoff, Terese Coe, Heinrich Heine, Timothy Murphy, Ann M. Thompson, Rob Wright. With special thanks for an outstanding new issue to --Nicole Caruso Garcia, Susan de Sola, Scott M. Miller (Assistant Poetry Editors); N.S. Thompson (Nonfiction Editors); Karen Kevorkian (Fiction Editor); Cheryl Diane Kidder, Rob Wright (Assistant Fiction Editors). ISBN 978-1-77349-004-5 (paperback) • ISBN 978-1-77349-004-5 • (hardcover) • September 25, 2017 release • 116 pp. 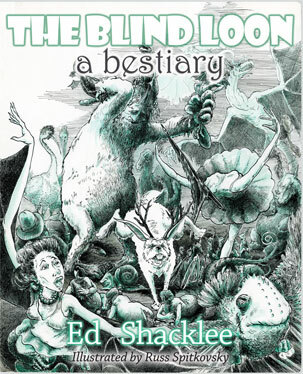 In his impressive bestiary, The Blind Loon, Ed Shacklee shows as keen an insight into the nature of the beast roaming free as into the beast within. This encyclopedic collection includes the commonplace python, monkey, crocodile, tortoise, camel; the mythical kraken, lamia, chimera, wyvern; the prehistoric ankylosaurus; the fantastical logorrhea, mope, snub, hipster. Shacklee doles out marvels, mischief and hilarity in The Blind Loon, and the breathtaking illustrations of Russ Spitkovsky provide an accompanying visual feast and are by themselves worth the price of admission. ISBN 978-1-927409-95-4 • October 9, 2017 release • 82 pp. ISBN 978-1-77349-001-4 (pbk.) 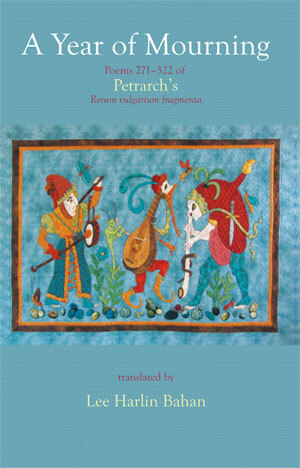 / ISBN 978-1-77349-005-2 (hc.) • October 16, 2017 release • 320 pp. ISBN 978-1-927409-98-5 (paperback) • October 2, 2017 release • 106 pp. For more information or for review copies, contact Able Muse Press here.